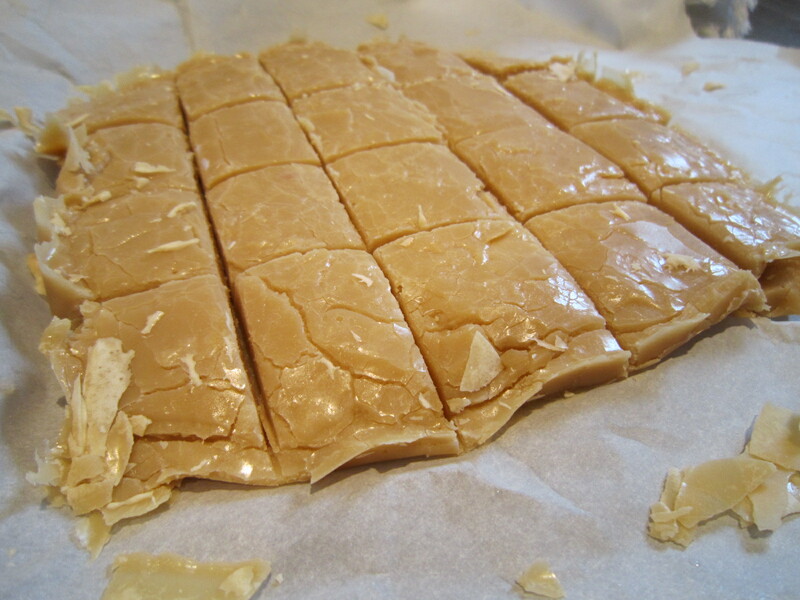 Whenever I think of maple sugar cream fudge, or sucre a la creme, I think of two things. First, of my mom guiltily sneaking samples from the fudge vendor at Saltspring’s Summer Market when my step dad isn’t looking. Being raised in Quebec, her favourite flavour is naturally maple. I also think of Quebec during the winter holidays, of the late night festivities during reveillon and of the doting French Canadian women who serve platter after platter of food and stare you down until your plate is wiped clean. The food is mouth-watering and worthy of a Lipitor commercial it is so artery-clogging. Sometimes, you’ll find a few unexpected menu items at these dinners, like Cheese Whiz served on hot dog buns or on white bread without crusts, or mini hot dogs in sauce. All in all, though, French Canadians serve up exquisite desserts that’ll leave you with a sugar high: you’ll get to splurge on homemade doughnuts and cakes drizzled in maple toffy and of course, my favourite, maple sugar cream. Tourtiere, or meat pie in English, like its other Quebec counterpart Poutine, has been known to have be made in hundreds of ways, ranging from chicken tourtiere (which confounds me), to the traditional pork and veal that I am familiar with, to the countless other regional variations. Many French Canadian homes that I’ve been in have a tourtiere recipe, hand written on a yellow, stained index card that has been handed down for generations like a family heirloom. I can’t say for sure if it’s a French Canadian tradition, but like many other Quebeckers I was raised to eat every dinner that’s served in a pastry shell with large dollops of ketchup. Don’t knock it till you try it. This particular recipe was given to me by my mom from my Aunt Diane.